Applying experience in infrastructure design, relocation, rehabilitation, and project management in addition to his background in Geographic Information Systems (GIS), Cartography, and Computer Aided Drafting Design (CADD), Adam Darbro is the City Utilities Superintendent. Adam is responsible for overseeing all city utilities; advising, assisting and coordinating with all department supervisors and/or personnel within the public works division on issues related to design, construction, and maintenance of city infrastructure and/or public works projects. 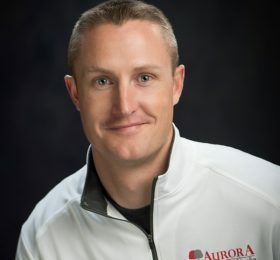 Adam’s career with the city of Aurora began in August of 2015 as Utilities Superintendent. Adam graduated from Southeast Community College (Lincoln, NE) in 2005 with an Associate of Applied Science Degree in Computer Aided Drafting and Design and Technology.